It’s absolutely mind-boggling to consider how much kids write these days, especially pre-teens and teens. And yeah, yeah, yeah, I’ve heard all the complaints about how texting is harming literacy, but anyone who thinks that way is missing the bigger picture. Kids these days are writing more on a daily basis than we, their parents, ever did. So much more. They just don’t think of what they’re doing as “real” writing. And I think that many parents consider it even less real–or at least less worthwhile. In 2008, the Pew Internet & American Life project put out a report called Writing, Technology and Teens which was based on interviews with 700 teens, and is chockablock with interesting stats on this topic. Write notes or letters to other people (64%); write in a journal (34%); do short writing, from a paragraph to one page (31%); do creative writing, such as plays, poetry, fiction or short stories (25%); write music or lyrics (25%); create audio, video, PowerPoint or multimedia presentations (16%); write essays (8%); write computer programs (6%). What I find particularly interesting about this “non-school writing” list is that it’s topped by notes and letters to other people, yet the report writers chose not to include texting, emailing, social networking and IMing in the category of non-school writing. Those activities are examined in a separate section. Guess the Pew Internet & American Life folks don’t think of them as real writing either. That, to me, is missing the point. All of those activities are writing, and I have to wonder why people feel a need to separate them. Because they’re more casual? Because correctness can be less important in their composition? Because kids enjoy this kind of writing, so it can’t possibly be worthwhile? The basic fact is that teenagers today are communicating with each other in written words on a daily basis. According to a Nielsen report, 83% of teens text message, with the average number of teen texts going up 566% over two years, from an average of 435 texts per teen per month in 2007 to 2,899 texts per month in 2009! Another 2009 report by Pew Research states that 86% of teens “comment on a friend’s page or wall” while using social networking sites like Facebook and MySpace. Many people seem to assume that this sort of casual, social communication writing must be undermining kids’ school writing. Let’s try to tease that out by looking at the most recent NAEP Writing Assessment results. NAEP is the National Assessment of Educational Progress, also known as the Nation’s Report Card. While I’m certainly no proponent of standardized testing as a way of measuring knowledge (or shaping schools for that matter), we may as well glance over the results, since a slew of kids had to endure the test. So. There’s an improvement in writing, which we have not seen in some of the other subjects recently. Just writing, eh? And the gap between twelfth-grade boys and girls is suddenly getting smaller. Huh. Let’s talk about those twelfth-grade boys. Boys tend to disengage with literacy in high school. If you need proof and explanation of that claim, start with Reading Don’t Fix No Chevys: Literacy in the Lives of Young Men by Michael W. Smith and Jeffrey Wilhelm. Yet something has changed in those boys’ lives that’s made their scores come closer to the scores of teenage girls. Think it’s some new writing program that the schools are administering? Doubt it. Consider the fact that the previous NAEP writing test had been administered in 2002. What could have possibly changed between 2002 and 2007? Think about it. Let’s check in with those folks at Pew Research and their teen report “Tech Usage Over Time”. While Facebook didn’t even exist in 2002, by 2006, 84% of teens were posting comments to friends’ pages or walls. 41% of teens were sending daily messages to friends on Facebook or MySpace. And while teen texting was uncommon in 2002, by 2006, 27% of teens said they texted friends daily. Thirty percent sent daily instant messages to friends. Written communication in the personal lives of teens was virtually transformed between 2002 and 2007. While I have no proof, I’d bet my sweet little 11-inch Macbook Air that this is why the writing scores went up in that 2007 test. Teens are writing more in their personal lives than they ever have before, and their resultant comfort with writing is creeping into their school/assessment writing. What they’re writing matters less than the fact that they are writing. Consider the 10,000 hour rule, made famous by Malcolm Gladwell in Outliers. You become good at anything by putting in the hours; 10,000 of them are likely to make you an expert. Kids are writing because they’ve found writing formats that matter to them–and therefore they’re getting better at it. But why the closing of the gap between boys and girls in particular? As I mentioned above, boys traditionally have less engagement with literacy than girls by the time they reach their teens. Since girls’ outside-of-school writing has increased as well, you’d expect their scores to go up, which they did. But I’m guessing that many teen boys have, for the first time, found writing venues that interest them. So their scores have increased even more. All that stuff that teens do with their phones and computers, described in the introductory quote, is real writing. The sad part is that only the most progressive educators recognize it. Schools (and homeschoolers for that matter) have an instant hook when it comes to literacy and teens. There are forms of writing that they like to do. We just have to figure out how to relate that writing to their more “academic” writing. It’s all writing and it’s all real. More on that in my next post. I don’t know actual stats for my country but do get a lot of feedback from my school teachers friends and my university professors friends (including my husband). This feedback includes not only oral examples conveyed by my friends but actual samples of tests and projects my husband brings home, so I’ve seen it. Kids these days write in short spurts, in a texting “personal” style that fails to lift off from the banal, and the acritical. The sentences are grammatically wrong and the kids are unable to create a sustained discourse on any given subject (we’re talking about high school and university kids, who are supposed to write about literature classics, or history, or philosophy). They don’t have a historical/anthropological perspective – my friends and I are all in the human/social sciences field – and they do not read. Even the classics are digested through excerpts and photocopies of the “most important parts”. I wouldn’t say it is texting or videogaming’s fault. I would say it is the lower levels schools fault, and then media’s in general. Most of my 11 years old son mates read 2nd grade level kids books or nothing at all. School is more intent on passing down grammar and no literature – and grammar without a context fails to nail a point, right? History is only shown in short, picture-like frames, with loads of visual “aids” but no real dephth and, thus, no real continuum. Videogaming and texting comes as an adjunct to the poor cultural landscape, not as the sole, direct cause. But texting, emailing etc surely haven’t improved the writing or the understanding of teens or late teens/early 20s kids. If we’re in the post-industrial society where most things are taken for granted, at face level, in a global, massified but superficial way, then these kids are really well functioning: virtual multitasking, short-attention spanning, visual rather than verbal, poor long term memory, poor “real world” surviving skills (during my childhood only the phsically impaired weren’t able to ride bikes; about half of my kids’ friends (6-12 yo) cannot ride bikes; but they all own a gaming system). Schools are generally adapting well to this change, contrary to what is officially perceived – kids are using electronic devices in classes more and more, visual is taking over verbal, virtual is taking over physical (there are schools in the UK where kids aren’t allowed any physical contact with each other during recess; there are schools in the US that have banned recess), classics are being replaced by more up-to-date texts. I think that is where the problem lies, really: the dumbing us down hole that schools, taking the lead from the media age society, are channelling our kids into. I can always count on you to reason with my radical notions, Marta! I agree that all the texting and online social networking is likely to teach kids to write in a certain way, and very differently than they’re expected to write in an academic setting. 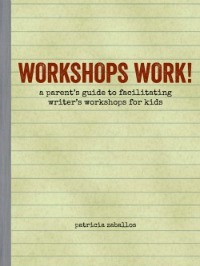 But I also think kids can be taught that their personal written communication is one style of writing, and that they need to learn other styles as well. I believe kids are capable of making the distinction and applying it–if there are valid, meaningful reasons for them to do so. My point is that if we spend our time wringing our hands over what kids can no longer do, we’re missing out on what they are doing. Kids these days are willingly engaged in written communication with each other! That’s something new, something that has never happened before, at least not on such a scale. Kids today understand the power of the written word to communicate, and that’s revolutionary, if you ask me. If we want them to care about writing, we have to make it matter to them. Suddenly they’ve taken care of this step on their own! Educators and parents ought to be looking at how we can take this engagement and expand on it, rather than using the same models of writing instruction that have been around since the 1950s. This is the topic of my next post, so I’ll stop now. But I encourage you to read the second comment, from Just Peaches, for an example of how 21st century writing helped a 21st century kid. In Ontario (Canada) children write standardized literacy tests every three years. While I’m not a proponent of standardized testing either, it does offer some anecdotal support for your argument. In 2004, my son’s writing abilities were below provincial standard. In 2007, he met the provincial standard. In 2009, he was identified as gifted with a learning disability. My son’s processing speed is slow which means it takes longer for him to get what he knows or could dictate verbally on to paper. As an accommodation for his LD he is permitted the use of a laptop in the classroom. His last test results showed that he is now significantly above the provincial median score. Thank you for sharing this, Just Peaches. 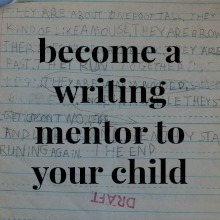 Your son’s path to writing is so encouraging! I’m hoping to help parents look beyond the worrying over too much gaming and online Dr. Who and Monty Python to see the greater picture of what kids today are doing with computers and written language. There’s so much potential in it all. Thanks so much for providing such an apt example, Peaches! Just Peaches’ son experience is really awesome. Congratulations (for the mom and the son!). That’s exactly what I’d love to see in my children by the time they reach high school age – debating their own ideas with different people with different ideas. What if the substance of what you have to say is directly affected – and changed – by the very means you employ? The long dialogues and soliloquies of Ancient Greece did produce most of the foundations of what we now consider love, friendship, authority, virtue, democracy, liberty… Whether you debate online or live, writing or speaking, is not really the point. The point, imho, is that it seems that meaningful, introspective, slower thought put to paper (or to tape or to wherever) is being replaced by an instant, catchy, commercial and empty jargon. I think slow food vs fast food is a truthful and useful idea here. This post-modern technology, and the use you give to it – specially kids – does seem to be taking us along that not-so-healthy path. I’d love to see more of slow food thought, and less fast food blurts, all around us. But I would argue that while the “fast food”, short-burst draw of the internet can be captivating to kids (and adults too), the internet also offers so much potential to go deeper. Kids may go through a fast food internet phase as they figure out who they are and what they like. But then, as they develop interests, they can find like-minded people and writings online. I’ve watched my 19 year-old go through this. Yes, he spends plenty of time watching “epic fail” videos of people crashing into things, but he also reads deeply on topics that matter to him, subscribing to subjects of interest with tools like Reddit. Sometimes I’m blown away by the deeply thought ethical and philosophical conversations we have, based in good part on information he’s discovered on the internet. And yes, those interests have led him to read actual books on challenging topics as well. I think of him as a very insightful, thinking person, and his computer use has everything to do with that. To draw another analogy, sometimes you have to start them on comics and have faith that the resultant love of reading will lead to the classics. My belief is that kids’ ability to think and read deeply has less to do with post-modern technology and everything to do with the values they pick up in the home. If they see “meaningful, slower, introspective thought” modeled at home, they’re likely to value and develop it, even if it means they’re using the media of their own generation to do so. Sometimes it takes time to see the arc of that evolution. You can’t expect an entire generation to have deeper, more introspective values because an entire generation of parents doesn’t have those values. Which was true in Ancient Greek times as well, I’m sure. Just consider your last line: “Thank you Patricia for always provoking me into thinking&writing”. Look how we’re using the new media! 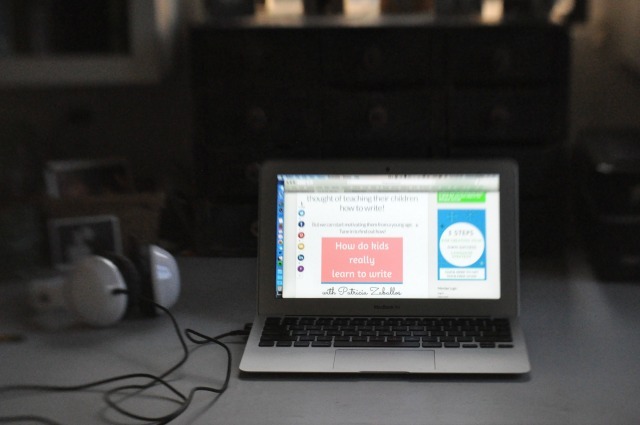 We’re debating ideas–and you’re in Portugal while I’m in the United States! Somehow I think that even the Greek philosophers would dig that. My response to your original post is also, “Yup.” I count myself a capable writer (working on several academic papers right now), but sometimes, as in texting, “TY” or “CU” or “<3 < 3 <3" is all you really need to say. Always good to get feedback from others who have seen one of their kids into young adulthood. And I love reducing you to yups. Almost two, in terms of writing. It’s clear the constant-gamer-and-texter (now 15, if you can believe that) is going to be just fine. For standardized evidence: although the rest of his STAR tests were mediocre, he maxed out on most of the reading/writing scales last year, and brings home A’s and more A’s on every essay/story/poem at school. Plus, he’s just an interesting guy to talk to.